Due to overwhelming demand for her sold out show in 2016, Newmarket Nights and The Jockey Club Live will welcome Jess Glynne back to the Adnans July Course next summer. First coming into the public consciousness as the vocalist on Clean Bandit’s Grammy Award winning and #1 hit ‘Rather Be’; pop sensation Jess Glynne has since become one of the biggest UK breakthrough acts of recent years. Her number-one charting debut album, ‘I Cry When I Laugh‘, has turned double platinum in the UK, making it the highest selling debut album of the past year. Jess is also one of only two British female solo artists to have five consecutive UK number one singles. 2016 was a further massive year for Jess, with a sold-out UK arena tour under her belt plus she was nominated for British Breakthrough Act, British Female Solo Artist and British Single for ‘Hold My Hand’ at this year’s prestigious Brit Awards. 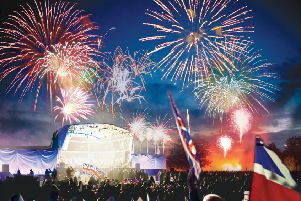 The 2016 season welcomed acts including Little Mix, Tears For Fears, Mark Ronson and the Kaiser Chiefs to the Adnams July Course, collectively playing to over 100,000 fans. The Jockey Club Live are leading promoters on the UK live scene, delivering spectacular line-ups of some of the hottest chart talent and legendary household names to some of the world’s most famous racecourses. The events are renowned for combining a fun filled evening at the races with a spectacular evening concert in the informal and relaxed open-air setting of the hallowed turf. Having welcomed over 200,000 fans of live music to their events in 2016, this year is set to continue the incredible success. Tickets will be on sale at 9am on Friday, 2nd December via http://www.thejockeyclublive.co.uk, with a presale available to customers at 9am on Thursday, 1st December. Tickets are priced starting at £26 adult /£13 child (under 18). Please note child tickets are limited. All T&C’s are available on http:// http://newmarket.thejockeyclub.co.uk. There will be hospitality packages available to suit all budgets.